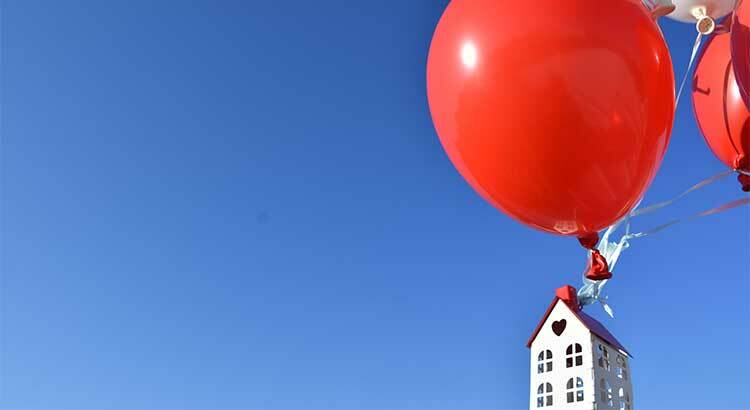 Sure…71 consecutive months of price increases may have some people concerned that current home values may be overinflated. 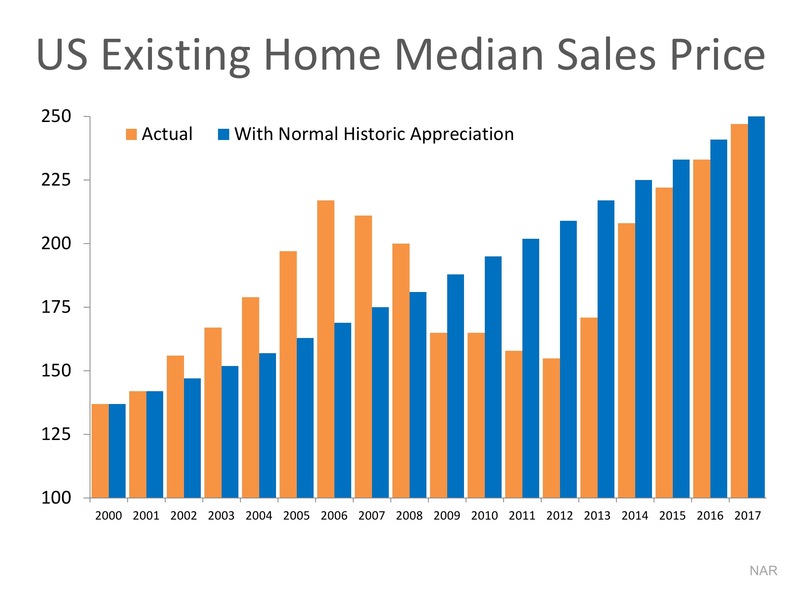 The blue bars on this graph represent where prices would be if they had increased by the normal annual appreciation rate of 3.6%. 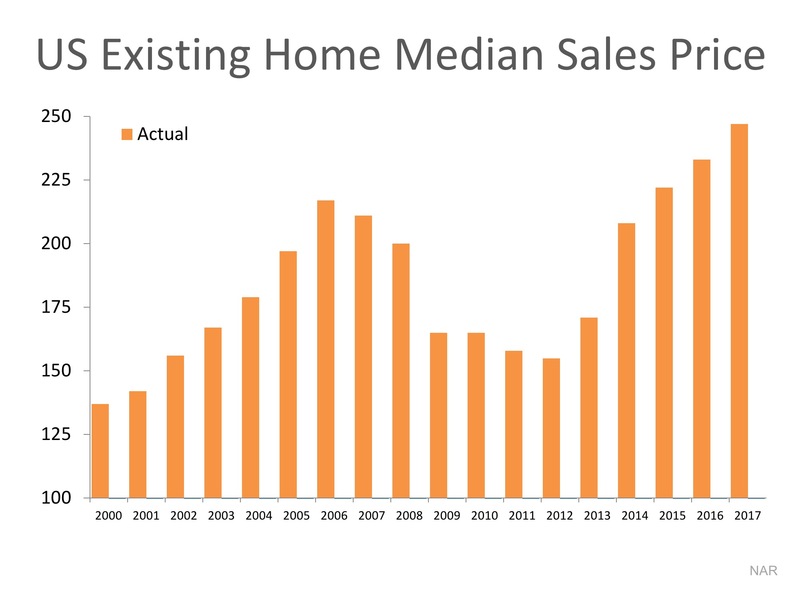 By adding 3.6% to the actual 2000 price and repeating that for each subsequent year, we can see that -YES-prices were overvalued during the boom, undervalued during the bust, and yet – a little bit LOWER than where they should be right now. Based on historic appreciation levels, we should be quite comfortable in the thinking that current home values are not overinflated.